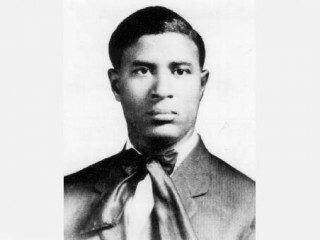 Garrett Morgan, also known as: Garrett A. Morgan, Garrett Augustus Morgan was an African-American inventor. Garrett Morgan was a self-educated and creative individual whose inventions contributed to greater safety and order in our society. He pursued an early interest in things mechanical to develop inventions of surprising technological complexity, considering the fact that he received no formal education beyond the fifth grade. Morgan showed an astute business sense as well, establishing profitable and long-lived companies to manufacture and market his inventions. He was also something of a showman, devising creative and unusual ways to demonstrate his inventions and generate interest in them. Throughout his career, his inventions and activities revealed a deep concern with the safety and welfare of his fellow citizens. Morgan was born on March 4, 1877, on a farm in the small town of Paris, in a poor and mountainous region of eastern Kentucky. He grew up during the period of Reconstruction following the Civil War, when educational opportunities for young black men were limited. He attended school through the fifth grade, leaving his home at the age of fourteen to seek work and a future across the Ohio River in Cincinnati. He found a job as a handyman for a white landowner but soon became dissatisfied and restless. In 1895, he left Cincinnati for Cleveland, where he settled, married, and spent the rest of his life. Penniless but hopeful, Morgan arrived in Cleveland and, having taught himself all about sewing machines, found a job as a sewing machine mechanic and adjustor with the firm of Roots and McBride. Over the next few years, Morgan would hold similar positions with other sewing machine companies in Cleveland. He sold his first invention, a belt fastener for sewing machines, in 1901 for $50. In the following years, Morgan's genius for invention and for business would blossom, and he became a successful and independent businessman and inventor. By 1907, Morgan was able to open a shop that sold and repaired sewing machines. In the first year, he earned enough money to purchase a home and bring his mother to Cleveland. The next year, Morgan married Mary Anne Hassek. By 1909, he owned and operated a tailoring shop that employed 32 people and manufactured dresses, suits, and coats. His involvement in this line of business resulted in an invention that would make enough money for Morgan to devote his full energies to new inventions. Morgan's attention was drawn to a problem at his tailoring shop that involved the sewing of woolen material. It seems that the material was frequently scorched by heat generated when the sewing machine's needle moved rapidly up and down. Morgan experimented with chemical solutions that would reduce the friction and eliminate the scorching. As the story goes, when Morgan's wife called him to dinner, he wiped the solution from his hands onto a piece of wiry pony-fur cloth. Upon returning to his workshop, he noticed that the wiry fuzz of the cloth had become straight. The chemical solution had caused the fuzzy hairs to straighten out. Seeing possibilities in his new discovery, Morgan tried the chemical solution on his neighbor's dog, an Airedale with wiry hair. The solution did such a good job of straightening the dog's hair that the neighbor did not even recognize his own dog. Eventually, Morgan tried the solution on his own hair, a little at a time, then gradually over his entire head. Not noticing any ill effects from his experiment, Morgan began manufacturing and marketing the first human-hair straightener under the name, G.A. Morgan Hair Refining Cream. In 1913, he set up the G.A. Morgan Refining Company to produce the product. The company has stayed in business, and its profits enabled Morgan to concentrate on other inventions. On August 19, 1912, Morgan filed a patent application for another invention he had been working on, which he called a "breathing device." Also known as the Morgan helmet or safety hood, Morgan would later perfect his "breathing device" into a gas mask that was used extensively in World War I. Morgan himself described his invention as one that was designed "to provide a portable attachment which will enable a fireman to enter a house filled with thick suffocating gases and smoke and to breathe freely for some time therein, and thereby enable him to perform his duties of saving life and valuables without danger to himself from suffocation. The device is also efficient and useful for protection to engineers, chemists, and working men who breathe noxious fumes or dust derived from the materials with which they work." In 1914, Morgan was granted U.S. patent 1,113,675 for his invention. As illustrated in his patent application, Morgan's device consisted of a hood placed over the user's head, to which a long tube was attached that reached to the ground. In the situations that Morgan envisioned, such as firemen entering a burning building, most of the smoke and fumes would tend to rise, leaving a layer of breathable air along the ground. The tube from the hood had an opening for air, and it was long enough to reach the layer of air beneath dense smoke or gas. The lower end of the tube was lined with an absorbent material, such as sponge, that was moistened with water before use. This would prevent smoke and dust from going up the tube, and it also cooled the air. There was a separate tube containing a valve for exhaled air. Morgan set up the National Safety Device Company to manufacture and promote the new safety hood. As the company's general manager, Morgan was the only nonwhite officer in the company. He urged his fellow blacks to purchase stock in the company, but most failed to do so. The price of the company's stock rose quickly, from $10 per share in 1914 to more than $250 per share in 1916. Morgan advertised the safety hood extensively, and his talent for creative marketing and showmanship was never more in evidence. He traveled around the country, demonstrating the effectiveness of his invention and trying to drum up interest among industrialists and firefighters. A particularly spectacular demonstration was described in the October 22, 1914, issue of the New Orleans Times-Picayune. As retold in Morgan's profile in Black Pioneers of Science and Invention, "A canvas tent, close-flapped and secure, was erected on an open space, and inside the tent a fire was started. The fuel used was made up of tar sulphur, formaldehyde, and manure, and the character of the smoke was the thickest and most evil-smelling imaginable. Charles Salan, former director of public works for Cleveland, conducted the tests. Fitting a large canvas affair that had the appearance of a diver's helmet on the head of `Big Chief' Mason, a full-blooded Indian, Mr. Salan sent Mason under the flaps into the smoke-filled tent. The smoke was thick enough to strangle an elephant, but Mason lingered around the suffocating atmosphere for a full twenty minutes and experienced no inconvenience. He came out after the test `as good as new,' and a little later gave another exhibition." Of course, "Big Chief" Mason was really Garrett Morgan, showman and inventor. In 1914, the same year his patent was granted, Morgan received the First Grand Prize Gold Medal at the Second International Exposition of Sanitation and Safety in New York City. Several successful demonstrations were topped off by a practical application, when helmets from the exhibit were used by New York firemen to rescue victims from a terrible subway disaster. Shortly afterwards, fire departments in large cities in Ohio, Pennsylvania, and New York began using Morgan's safety hood. Although Morgan's breathing device was being used successfully, it received its greatest test on July 24, 1916, when a disastrous explosion rocked the tunnel of crib number five of the Cleveland Water Works. Approximately two dozen men were trapped five miles out and more than 200 feet below Lake Erie. The tunnel quickly filled with smoke, dust, and poisonous gases. The situation required fast action, for the men would soon die of suffocation and gas inhalation. When someone remembered Garrett Morgan and his safety hood, he was quickly summoned to the scene. He arrived with his brother Frank; putting on their safety hoods, they entered the tunnel. The Morgan brothers descended over 200 feet into suffocating darkness, where they gathered up one of the workers and returned to the surface via the tunnel's elevator. They made the trip again and again, bringing back all of the bodies and saving more than twenty lives. It was a true act of heroism that was made possible by Morgan's invention. Newspapers all over the country carried the story of the heroic deed. Garrett Morgan was given a solid gold, diamond-studded medal by a group of prominent citizens of Cleveland. Its inscription read, "To Garrett A. Morgan, our most honored and bravest citizen." He also received a medal from the International Association of Fire Engineers and was made an honorary member of that association. As a result of the widespread publicity following the Cleveland Water Works explosion, Morgan received many requests from fire departments, police departments, and mining companies to demonstrate his device. Due to racial prejudice, he hired a white person to demonstrate the safety hood in the Deep South; and when the racial identity of the inventor became known, orders declined. Morgan's concern with the safety and well-being of his fellow citizens led him to invent the first automatic traffic signal. On February 27, 1922, he filed a patent application for a "traffic signal" that would control the stop-and-go of traffic at intersections. His invention came at a time when horse-drawn carriages had to share the road with automobiles, and there were many accidents involving collisions at intersections. Morgan received his U.S. patent (No. 1,475,024) in November 1923, and secured British and Canadian patents as well. He sold the rights for this invention to General Electric for $40,000, a handsome sum in those days. Shortly before his death in 1963, Morgan was cited by the U.S. government for inventing the first traffic signal. His other inventions include a woman's hat fastener, a round belt fastener, and a friction drive clutch. Morgan's concern with his fellow citizens manifested itself in other ways beside his inventions. Unhappy with the newspaper coverage of events relating to blacks in Cleveland, he started the Cleveland Call in the 1920s. The paper later became the Call & Post and was published in Cleveland, Cincinnati, and Columbus, Ohio. It enjoyed a large circulation. Morgan counted among his friends such notables as John D. Rockefeller and J. Pierpont Morgan, the financier after whom he named his first son. He loved the outdoors and spent time hunting and fishing. He was also a charter member of the Cleveland Association of Colored Men and served as its treasurer from 1914, until the association merged with the National Association for the Advancement of Colored People (NAACP). Morgan entered politics in 1931, running as an independent candidate for the Cleveland City Council. He promised, "If elected, I will try to lead the people of the third district to equal representation in the affairs of city government." His platform included relief for the unemployed, more efficient administration, improved housing conditions, better lighting, improved sanitation, and improved city-owned hospital accommodations. Morgan developed a severe case of glaucoma in 1943 that resulted in the loss of 90 percent of his vision. He was operated on at the Mayo Clinic and had to make yearly visits there. In spite of his near-blindness, he kept busy. At Cleveland's Western Reserve University, he organized a fraternity of black students. One of his last goals in life was to be able to attend the Emancipation Centennial in Chicago, August 1963. However, he died after two years of illness on July 27, 1963. Full name, Garrett Augustus Morgan; born March 4, 1877, in Paris, KY; died July 27, 1963, in Cleveland, Ohio; son of Sydney and Elizabeth Morgan; married Mary Anne Hassek, 1908 (died, 1968); children: John Pierpont, Garrett Augustus, Jr., Cosmo Henry. Education: Attended school to the fifth grade. Left school at age 14 and moved to Cincinnati, where he worked as a handyman; left Cincinnati in 1895 and settled in Cleveland, where he worked as a sewing machine mechanic; sold first invention, a belt fastener for sewing machines, 1901; opened own sewing machine sales and service business, 1907; began tailoring business, 1909; invented gas mask, 1912, formed the National Safety Device Co. to manufacture it, 1914; invented hair straightener and opened G.A. Morgan Hair Refining Cream company to produce it, 1913; invented traffic signal, 1922; owner and publisher of newspaper Cleveland Call (later the Call & Post) beginning in 1920s; political candidate in Cleveland's City Council race, 1931. View the full website biography of Garrett Morgan.